This is a short version of the six month report of the Collection Social Photo team from The Nordic Museum, Stockholm County Museum, Aalborg City Archives and The Finnish Museum of Photography. Here you will find our first findings, research questions and examples of case studies. The project’s main goal is to develop new recommendations, for museums and archives in Denmark, Finland and Sweden, for collecting and disseminating social digital photography. During the six month period, January–June 2017, we have started to approach the work of heritage institutions and collecting/disseminating of photographs in the era of the social digital photography. We have started to monitor current work on the social digital photography in museums and archives internationally, we have started reading relevant literature and we have launched and performed case studies as a way to identify issues and questions relevant to the project (approximately 12 case studies are being planned at the moment). The research so far has made central issues more visible and tangible and enabled us to draft further questions that will inform our upcoming research and case studies. Q1: How can data collection policies and practices be adapted to create relevant and accessible collections of social photography as cultural heritage in museums and archives? Q2: How can digital archives, collection databases and interfaces be adapted to more accurately disseminate collections to different stakeholders and end users? Q3: How can museums and archives change their role when collecting, in order to increase user influence in the production of the common cultural heritage? Besides the core activities of the project, meetings, study visits, reading, organising seminars etc. a number of activities related to the research questions have been launched during the first six months. Project meeting in Copenhagen, February 2017. Q1: How can data collection policies and practices be adapted to create relevant and accessible collections of social digital photography? So far we have launched several case studies and begun interviewing social media users about their habits of posting photographs through social media. We have launched an online questionnaire at website www.minnen.se to get a broader response, and we have started to collect metadata through a third party social media analyzing software. We are also investigating ethics, copyright and practical issues concerning harvesting social digital photography. We will be looking into the results so far of the questionnaire and further adjust the list of case studies in order to make sure we are able to collect images representative of the contemporary use of social digital photography, and corresponding to overall missions and strategies of the participating museums/archive. We will analyse images collected so far through the questionnaire and the #Openstockholm case study, and we will continue collecting in the autumn of 2017 to perform a parallel examination of how our current methods and work practices correspond with the actual collecting. 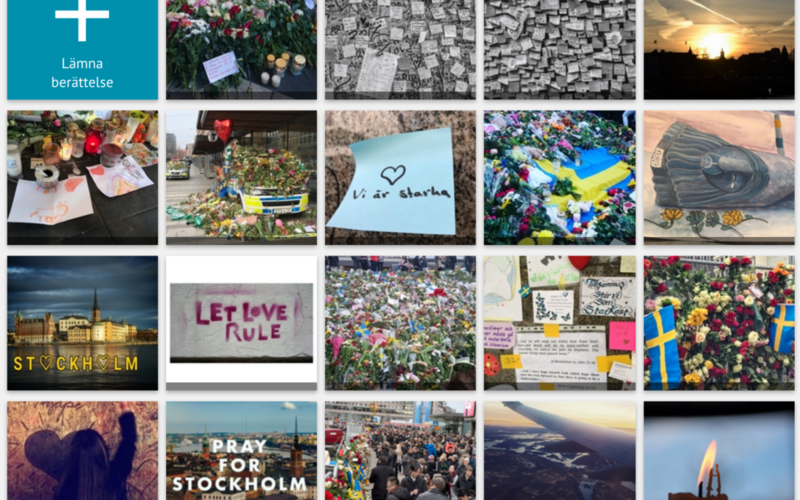 We will in the Södertälje case study look further into Instagram images, perform both visual examination as well as analysing metadata, in order to better understand the social media image from the collecting perspective. We will perform further interviews (about social media use and personal photography by f.ex. photo elicitation) in order to increase our understanding of people’s perception of the museum/archive as recipient (and accommodator) of personal photography. Experiences from the case studies Södertälje will be used in comparative studies in Helsinki and Aalborg. The fluid image: How is the fluidity affecting the definition of the social digital photograph once it enters the heritage collection? The digital context: What is the impact of digital context and technology on heritage/archival collections? The transactional image: How do the transactions of photographs / data impact on what we should collect? As the legal issues have proven to be complicated (as we have anticipated) we have to broaden our connections with legal experts in order to learn more about possibilities and challenges. The new EU Data Protection Directive will affect our work and during the autumn we will specifically look into the consequences for the project. 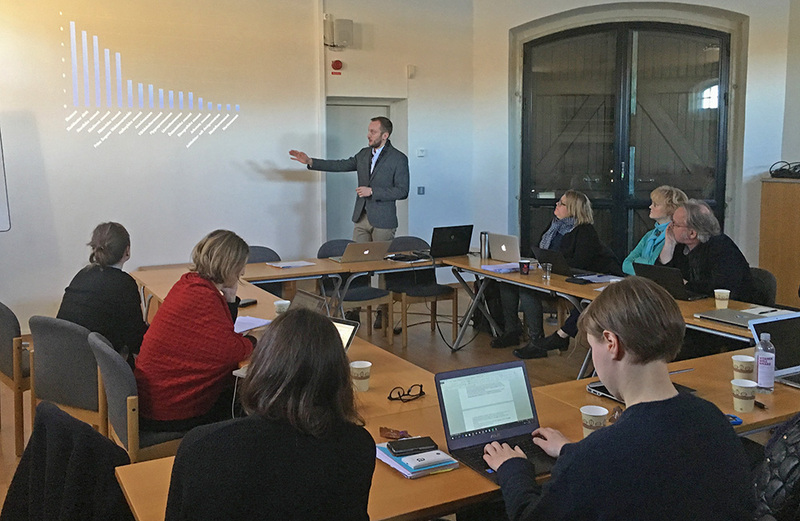 Seminar with the project reference group at The Nordic Museum, Stockholm, March 2017. Q2: How can digital archives, collection databases and interfaces be relevantly adapted – considering the character of the social digital photograph and the digital context – in order serve different stakeholders and end users? How can web accessibility of the future collections of social digital photography be adapted to the nature and scope of the material and ensure the usability to stakeholders and end users? To understand how collections databases and interfaces need to be adapted to more efficiently disseminate collections to different stakeholders and end users, as well as allow for collecting, we have started to look into how current work practices and interfaces fit with the social digital photograph. We assume that we will need different types of interfaces for disseminating social digital photography, depending on function, topic and content. We know we will have to design interfaces for co-creation and collaboration around collecting initiatives, and we need to connect collecting interfaces with dissemination. We need curated entries to the collections, and there is not one unique solution. Both The Nordic Museum (Nordiska museet) and Stockholm County Museum have websites for collecting images (and text) online: www.minnen.se and www.samtidsbild.se. Both websites will be evaluated early on in this project. We will research current relevant initiatives in an international perspective, learn more about the context in which images can be collected, and start connecting with people who might be interested in participating in this ideation process. Image collected through online questionnaire about habits of posting photographs in social media. 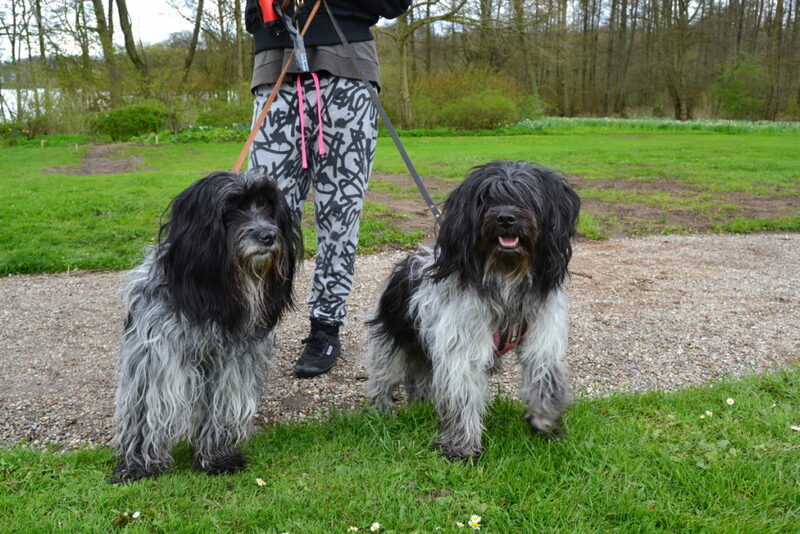 Photo: Sarah-Louise Melander Thilgreen, CC-BY. Q3: How can museums and archives change their role when collecting and disseminating, to increase user influence in the whole life circle of the vernacular photographic cultural heritage? Museums and archives today have started to understand the need for inclusive methods and collecting initiatives, from creation and collecting to dissemination and re-use. Often the participatory efforts are performed in unique projects and not yet in the overall policies of the museums and archives. Not only do museums/archives need to introduce new work methods, they need to do so at a time where the competition for the audience’s attention online is rapidly growing. How do we do outreach and create engagement? How do we initiate/facilitate dialogue? How do we reach outside our museums/archives filter bubbles? How do we reach people with private accounts? How do we open up for co-creation in a way that is relevant to the audiences? The conclusions from the first six months of the project show that the social digital photograph is complex and even fluid. It is very much a result of transactions but also it’s digital context. And the impact of the museum/archive on the social digital image risk altering it’s original meaning and purpose, and transform it into something else. There are other complex issues to adress such as user engagement, co-creation and dialogue with the audience. Legal issues need to be looked into as they will further delimit possibilities of collecting and disseminating vernacular photography. At the same time as there are several challenges, that the project team will face when producing recommendations around social digital photography, there are also tremendous opportunities for including a broader democratic voice in the photographic cultural heritage.